Join us for a FREE TRIAL CLASS for our 7 week/7 Chakra Art Classes for Kids and now TODDLERS!! With popular demand, we have added a toddler version of the Kids Chakra Art class! and all natural art supplies to identify each Chakra. ​For more info and to RSVP click the link below. Looking for activities for the kids while they're out of school this week?! Join us for a week of open eco-friendly art and crafts at our NEW art studio!! We will be painting, crafting and building using materials and tools that are recycled and from nature. In our unique studio we use non-toxic, all natural and eco-friendly materials and products! allowing your little ones to express their creativity in a toxic free environment! NEW Fruiggie Art studio & Shop!! Join us at Kids Who Bank book signing event for their new kids financial literacy book "Kidpreneur"! ​Fruiggie will be adorning faces! Catch us in Connecticut on October 1, 2016 at this awesome Gluten Free and Allergen Free Wellness Event! and gluten free paint and check out our all natural art supplies! We are sooo excited to announce that Fruiggie will be at ATLANTICANTIC 2016!! We will be near the stage between Clinton and Henry St.
Stop by and get your face painted and check out our NEW products! See you there!! Catch us today at @thewellnessmarket Sept. 16th and 17th! on September 15, 2016 from 2-7pm! Stop by, bring the kiddies and say hello!! 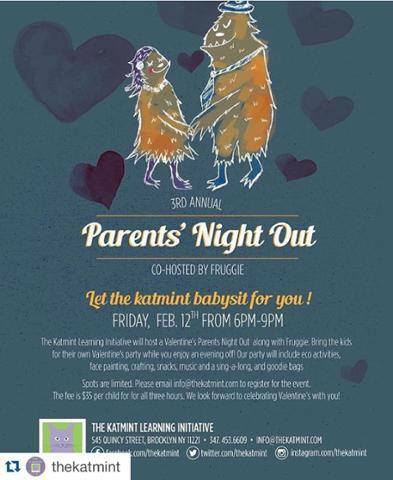 Fruiggie will be co-hosting Katmints Parents' Night out on February 12, 2016! while parents head out for a fun night! Earth Day/Spring opening with Habana Outpost!!! Eco art activities and our vegan organic popcorn station! Vegan Face Painting at this years Kids Food Festival 2015!! and check out our NEW natural art supplies! for the last Bye Bye Baby Breakfast presented by Sean Meenan & My Brooklyn Baby!! We will be painting, and crafting and we have lots of cool gift bags to give away. Registration will also be open for our Fall session! fun nature arts and crafts!!! 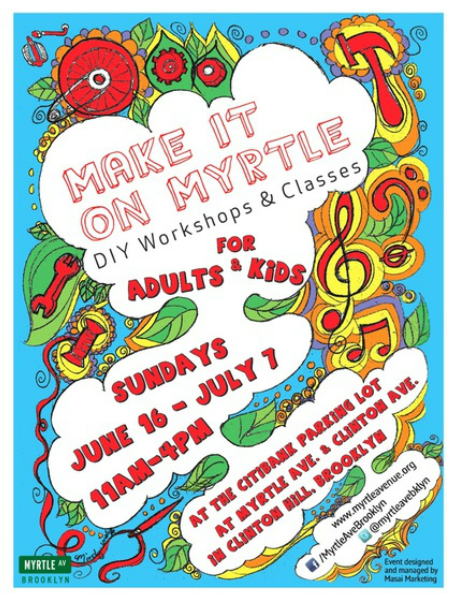 Join Fruiggie at "Make it on Myrtle"!! while using alternative painting techniques. All homemade Fruiggie paints are fruit, veggie and plant based. Let's Print! In this class, students will experiment with fruits and vegetables to print unique patterns. The students will stamp apples and create flower prints with celery stalks and other various fruits and veggies. All homemade Fruiggie paints are fruit, vegetable and plant based.